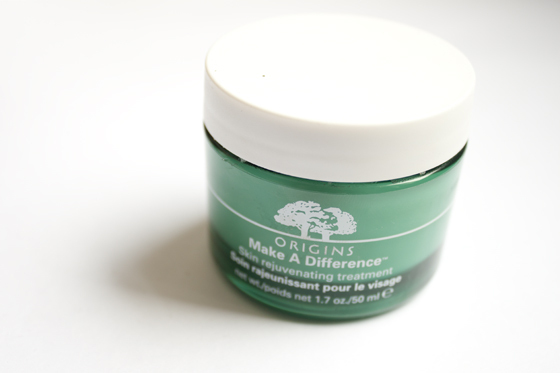 As I mentioned in my June Favourites video, Origins Make a Difference Skin Rejuvenating Treatment is possibly one of my all time favourite products. I don't really rave and rave about products, Im a fickle soul and I know that I move from product to product very quickly. I was recommended this product from the John Lewis Origins counter after deciding that Origins Zero Oil Lotion really wasn't doing it for me. 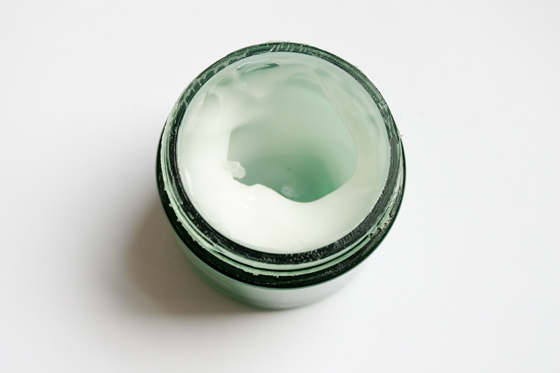 While I liked the Origins Zero Oil, I felt like it wasn't really doing anything for my skin. It was still tight, leathery and overall just a bit dull. Origins Make a Difference Skin Rejuvenating cream is designed to aid the skin's natural recovery and rejuvenate the skin surface. It applies like an absolute dream, it really sinks in as soon as I apply it, leave my skin soft and hydrated without feeling over saturated or greasy. I feel like I can apply this over and over again purely because it feels so nice on my skin. I've been using this as my day and night cream instead of a moisturiser, but it works well as a smoothing base for makeup too. I really REALLY enjoy using this cream and will 100000% buy this again. I think it has made a huge difference to the way my skin feels and has really plumped up my face. I am surprisingly happy with the overall appearance of my skin at the moment as well as the evenness of my awkward skin tone. I can't pinpoint if it's this alone, or the combination of this and my Alpha H Liquid Gold that has improved my skin. The price is pretty high, and while I do understand is it going to be out of some peoples price range. I just had to post about this as I've never tried a product I've got on so well with. I shall continue to rave about it for the foreseeable future!